Yes, the king of “I’ll be back” returns to the big screen in a franchise reboot and, a TV series will follow soon. 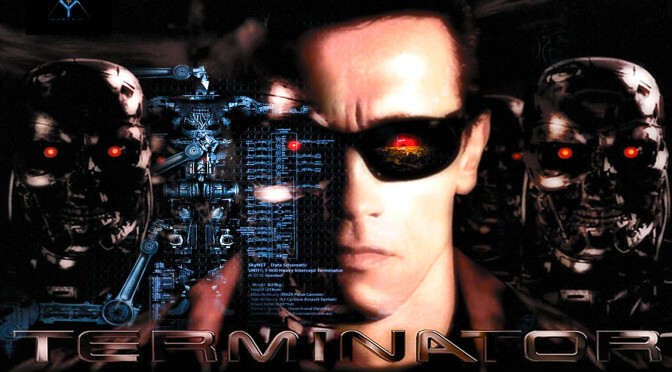 The Terminator franchise will launch a new trilogy in July, 2015. The small screen version start has yet to be announced, but will follow the plot lines of the new trilogy. The new franchise will start out with Sarah Connor being targeted for termination as a child. SmuttyCat loved Terminator: The Sarah Connor Chronicles and was sorry to see it go. Great pacing, solid acting and lots of action made for a successful addition to the Terminator family. The same team is writing for the new series, so there is a good chance of it being equally great. The Sarah Connor Chronicles was the only redeeming segment after Terminator 2. Let’s face it, Terminator 3 and 4 were awful. Bad casting aside, the pacing and story were uneven at best. The last third of Salvation left SmuttyCat looking for a reason to kill off everyone. The Terminator gives a heart transplant to John Connor? Pleeze. Hopefully, Terminator 5 writers will stick with the tense drama and great sci-fi legacy that worked in the first two movies. And most importantly, keep the sense of wonder that drove the franchise to success. Will the future be a wasteland or will the Connors and their pet Terminators save humankind? SmuttyCat is rooting for the humans.